After two wins from two races Marcus Blackmore's Hooligan with Grant Simmer calling tactics are leading the IRC NSW Championships at Port Stephens. 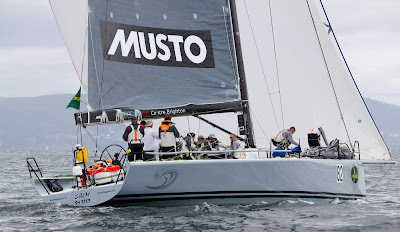 Racing was delayed for about an hour until the breeze filled in and the two IRC divisions racing offshore were forced to deal with a sloppy seaway and a light 7-10 knots of easterly breeze. 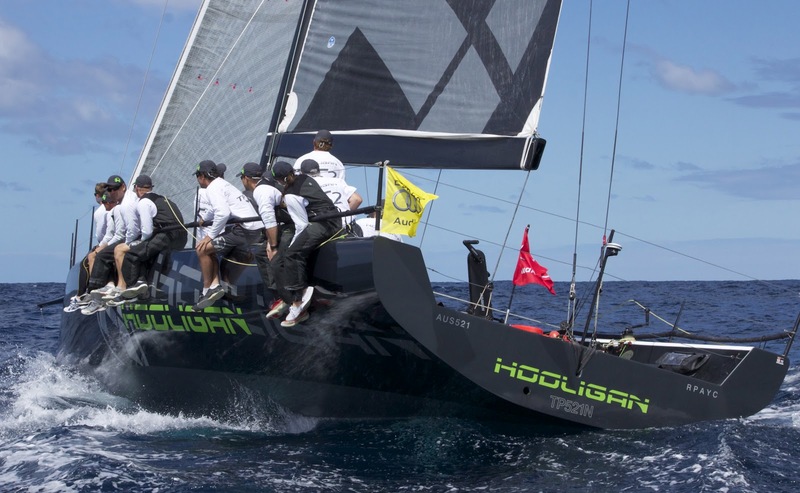 During the first race Jason Van Der Slot's Calm led Hooligan by five boat lengths up to the top mark but due to the wrong choice of spinnaker the crew looked on in frustration when Hooligan smoked them with better boat speed to reclaim the lead on the downwind run. 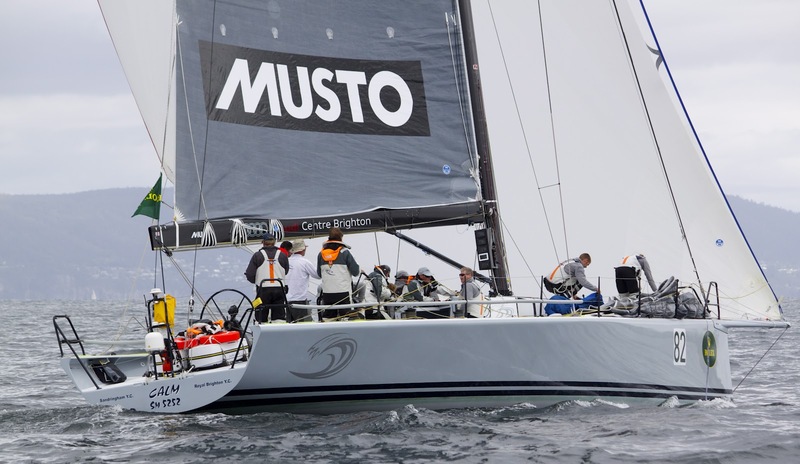 "We found it tough going out there with the swell and it takes a while to get the trim right in the lighter conditions as we are used to racing on the flatter waters of Port Phillip Bay in Melbourne. 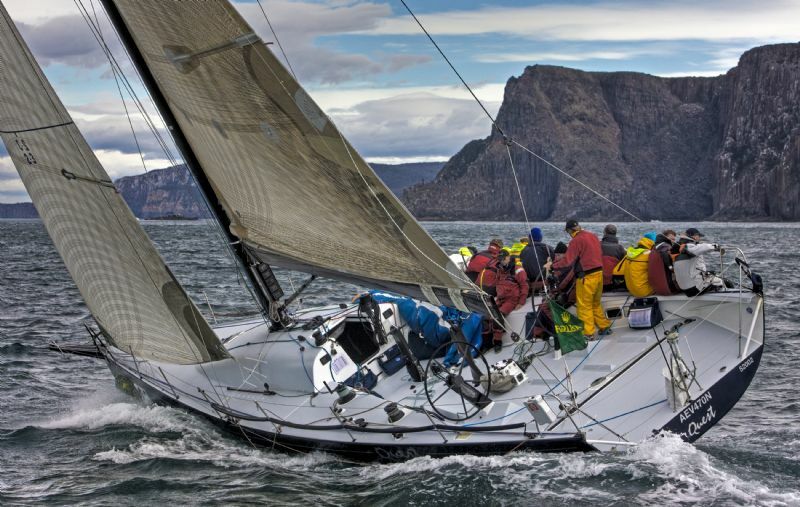 We paid the price by getting our sailing choices wrong," Calm's skipper Jason Van Der Slot said. "Our younger guys like Michael Bunyard, our bowman and Aaron Cole did a terrific job today and with just six races and no drops we need to just keep our eye on the the ball and stay consistent. We have come here to win so our partying will be kept to a minimum.The weather's great and a nice respite from the Victorian chill that is creepy into Melbourne. Those guys are more used to racing off Sydney Heads so are pretty good in choppy waters. They know what they are doing and sailed very well all day," he added. 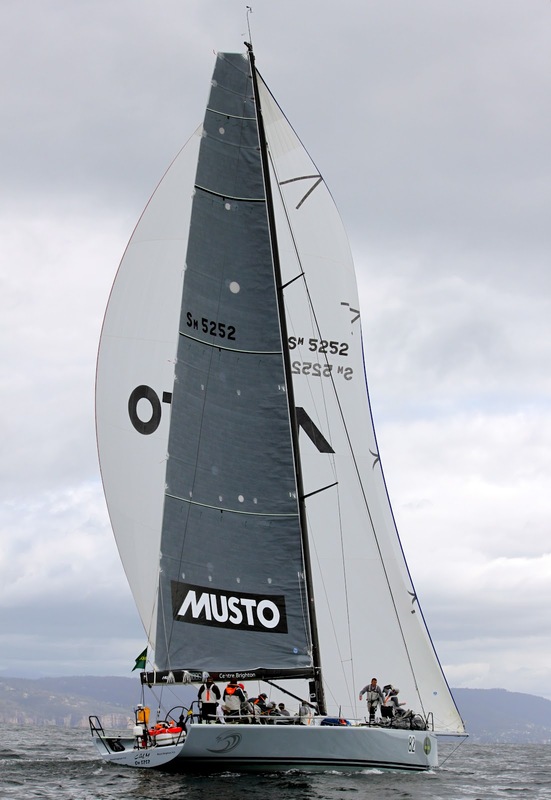 While Hooligan leads the regatta overall Van Der Slot praised the crew onboard Bob Steele's Quest who had a very good day racking up a third and a second. 'It was not easy out there today," Marcus Blackmore said. "There was quite a bit of current at the top mark, quite a bit of seaway and only ten to eleven knots. I have to go to Canberra tomorrow and Mark Richards is going to have his first drive of a TP52 so you can expect to see him at the pin. 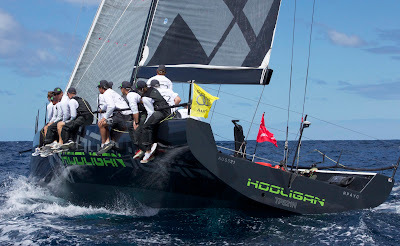 All in all this event is an important part of our preparation for Hamilton Island Race Week." 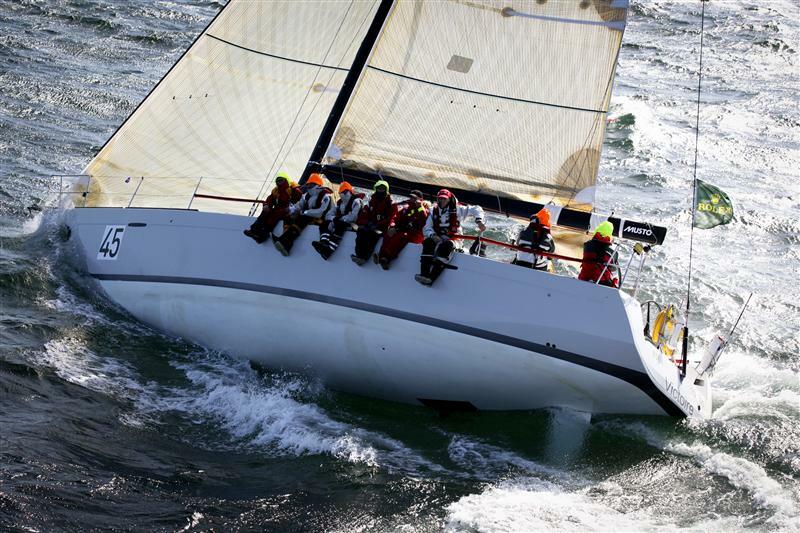 "Those guys are more used to racing off Sydney Heads so are pretty good in choppy waters. They know what they are doing and sailed very well all day." In IRC Division 2 it was the DK46 owned by Garry Holt from Middle Harbour Yacht Club who excelled in the lighter air getting two guns. 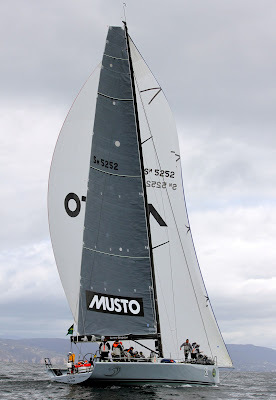 “Today was never going to be a good day for a Beneteau. Paul (Clitheroe) and I both struggled in the light 7-9 knot air. We got a second in the first race but in the second race we got all tangled up with the other boats and just could’t find our groove,” Victoire owner Darryl Hodgkinson said. “It was always going to be Exile’s day. Being a heavier boat we need 12 knots plus so we just have to keep pusjing ahead. We can;t expect to come to these things and win everything but we get pretty disappointed when we don;t win,” he added. "It's great to see Bernie do so well on Tulip too."